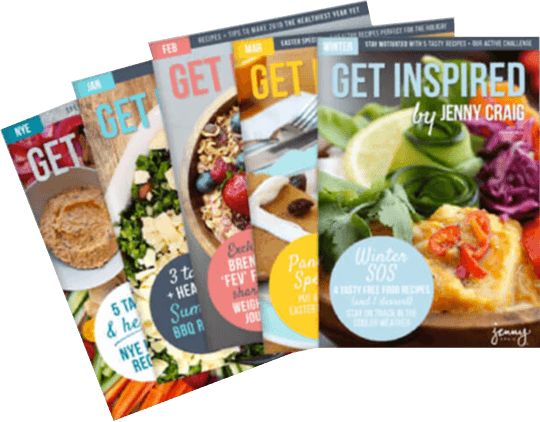 Use of the Jenny Craig ANZ websites may involve the collection of your personal information and information about your use of the website as well as any information specifically given by you. The information about the use of the websites may be analysed to provide us with insights into users interests and behaviour. Our websites are managed by an Australian based service. The services provided to us include analysis of the use of the websites using a range of common technical tools, including cookies, pixels and transparent GIF files. A cookie is a small file of letters and numbers that is put on your computer if your browser settings allow this1. These cookies allow our service provider to distinguish you from other users of the website which helps them to provide you with a good experience when you browse our websites, and also allows us to improve our site. The third party analytics services applied to our website also track a user’s online activities across unrelated websites and allows for customised presentation of advertising material to your browser (using so-called ‘adware’). We do not receive reports that identify you, but the providers of the analytic services may be able to identify users from your IP address, and may use this personal information about your internet use for their own purposes or those of other clients2. Two such services which we use are Google Analytics3 and Doubleclick4. You are always free to decline the cookies from our website if your Internet browser allows this, but some parts of our site may not work properly if you do. Some of our webpages may contain links to other third party sites – we try to ensure that this is always clear. We do not take responsibility for any collection or use of personal information if you choose to click on these links – you should refer to the privacy policies of the relevant third party. 1. Most web browsers allow some control of most cookies through the browser settings. To find out more about cookies, including how to see what cookies have been set and how to manage and delete them, visit www.aboutcookies.org or www.allaboutcookies.org. 2. For more information about these services, see https://www.oaic.gov.au/privacy/privacy-resources/privacy-fact-sheets/other/privacy-fact-sheet-4-online-behavioural-advertising-know-your-options. 3. To opt out of being tracked by Google Analytics across all websites visit https://tools.google.com/dlpage/gaoptout. 4. For information about opting out of Doubleclick and other adware is available using any Internet search engine (but be aware some of these engines may themselves deliver adware).